Come for the Art. Bring Your Appetite. 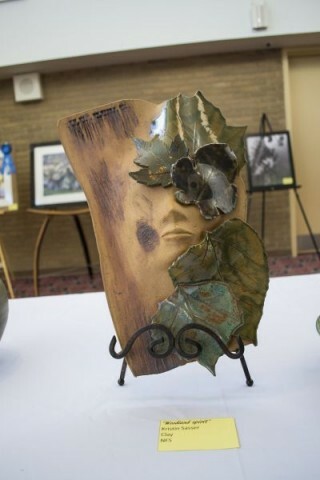 The Johnston County Arts Council recently hosted its Seventh Annual Art and Food Festival Gala last Thursday, March 17th at the Paul A. Johnston Auditorium on the campus of Johnston Community College in Smithfield. The fundraiser generates money to assist the Arts Council with funding for the 2016 Artists-in-the-Schools program. It also allows the council to provide scholarships for Johnston Community College students studying Fine Arts and host free community arts programming and project installations throughout the year. 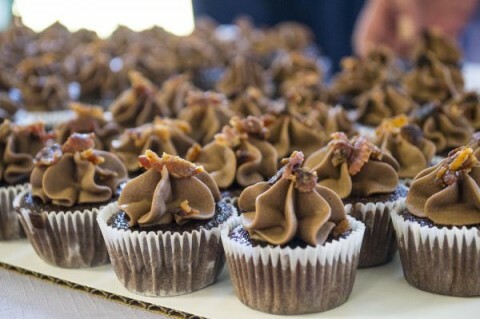 The gala treats ticketed guests to sample dishes from Johnston County’s finest restaurants. And participating restaurants competed for awards like Best Entrée, Best Dessert, Best Presentation, Best Side Dish, Most Original Dish, and Best Appetizer. Attendees had the opportunity to vote for ‘People’s Choice Award’ of Best Restaurant. Participating restaurants included Anna’s Gourmet Breads, Anthony’s Pizza and Pasta, Bistro on Third, Casey’s Floral & Catering Service, Chick-fil-A, Golden Corral, Glenda&apos;s Sweet Shoppe & Grille , Parkside Cafe, The Serving Spoon, Sherry’s Signature Cheesecakes, Simon’z Restaurant, and Simple Twist. 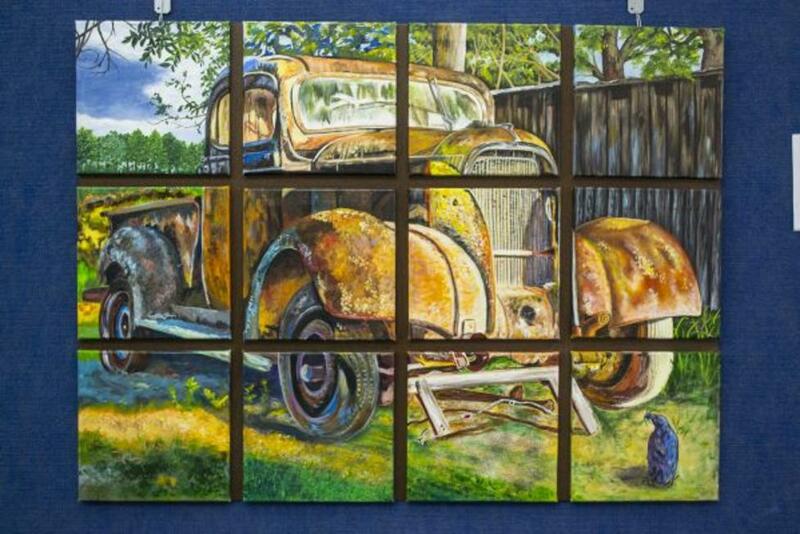 The results of the Johnston County Arts Council art show featuring local artists was also announced with local artwork on display and available for purchase from Johnston County’s most talented visual artists. There were over 50 pieces in the categories of painting, photography, and pottery. An auction of 2 collaborative pieces was one of the highlights of the evening. There was also a silent auction for individual works. Music was provided by Issac Bruton. Raffle tickets were sold for a chance to win a grand prize donated by Evans Jewelers, a gorgeous necklace that featured a two-tone yellow and white gold pendant valued at $1,200. Darlene Williford, Executive Director of the Johnston County Arts Council, stated, "our 7th Annual Art and Food Festival was a great success this year. 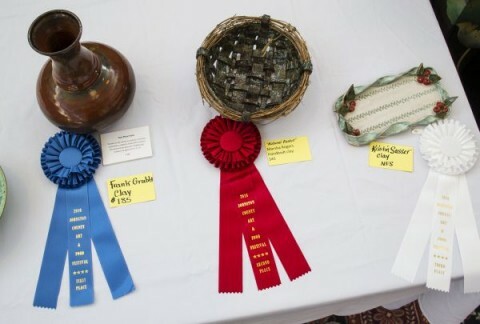 We included the new art category of pottery, and had new local restaurants and artists participating. If you didn&apos;t make it this year, I invite you to attend next year." For a full list of winners see below. If you are interested in serving or supporting the Johnston County Arts Council please contact Darlene Williford at 919.738.9622 or info@jcartscouncil.org.